A 7-year-old child has already earned $10,000 by himself. 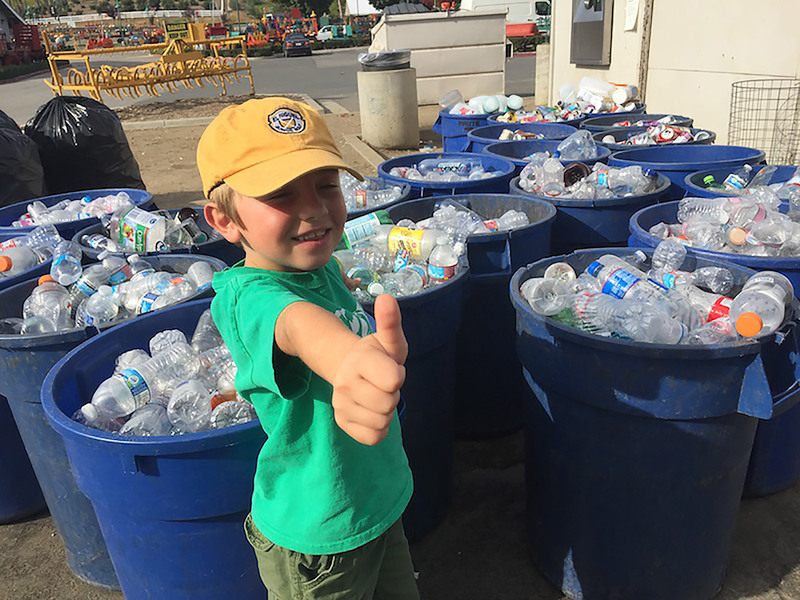 Ryan Hickman, who lives in OC San Juan Capistrano, started collecting reusable cans and bottles with his parents’ help when he was 3 years old. Ryan created a list of his friends and family to get help from them, and he founded his own business. The name is ‘Ryan’s Recyling’. During his interview with ABC7, Ryan revealed that he has recycled “about 200,000 cans and bottles”. Ryan and his parents are organizing collected waste every week. Ryan said, “Once I start re-organizing it, my mom, dad, and grandmother all jump in. It only takes two minutes to make one bag”. During three and a half years since he started the business, he has earned more than $10,000. Through other businesses, Ryan also donates his profit to environmental groups. Ryan’s parents wish Ryan could save the money for his college tuition. Yet, Ryan does not think the same. Because his main concern is environment protection. Ryan’s father said, “For Ryan, environment protection is such a big concern. He argues if we don’t recycle, those cans and bottles not only sink in the sea, but worse things happen”. Ryan is thinking of investment with his saved money. “I am thinking of buying a waste truck with the money I earned for selling waste”. Furthermore, Ryan wishes he could inspire more people to recycle. Even when the interview was ended, Ryan showed entrepreneurship mind.